The Beauty of Sea Cliff! Something always draws me back to the beautiful coast of Maine. Perhaps it is the spectacular ocean views against the rough and craggy rocks, but I remain quite taken with the Maine coast. 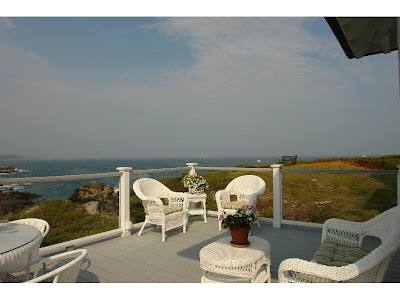 Recently the historic "Summer Cottage", Sea Cliff came on the market. 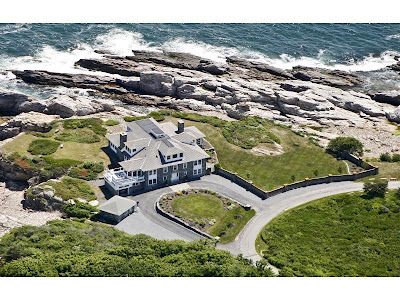 Sea Cliff, built in 1914 is perched high on the rocks with panoramic views and overlooking the Portland Lighthouse. The stone work in the house is amazing. Notice the original fireplace above. 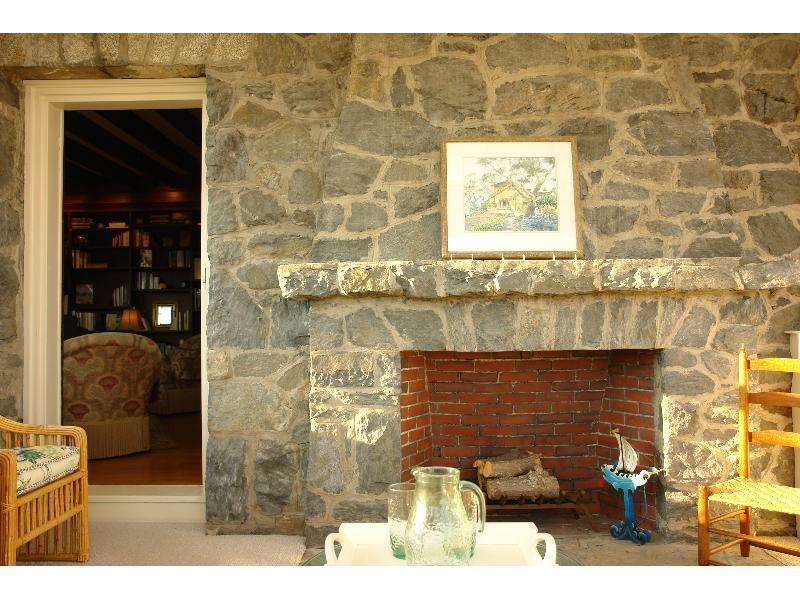 With such a striking wall of stone, the owner needs to do very little decorating. The masonry speaks for itself. 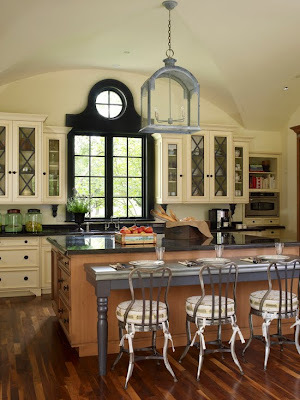 Of course the original kitchen from 1914 has been thoughtfully renovated. The breakfast room has outstanding views. 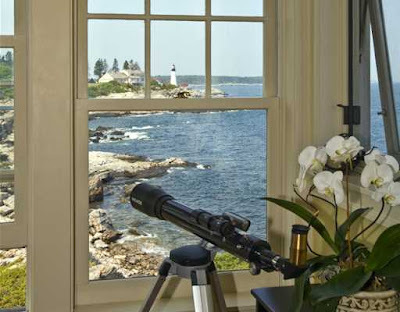 You can see the lighthouse through the main picture window to the left. 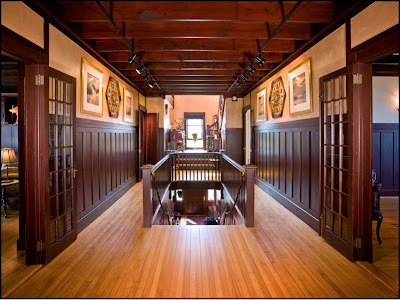 The home retains many of its original features, which have been untouched over the years, including the second floor landing. The wainscotting and beamed ceilings are so beautiful. I like how they turned this area into a mini gallery space. The upper deck also has amazing views. The railings are interesting with clear Plexiglass. I wonder if they get cloudy from the ocean salt spray. To see more of this wonderful, historic home click here. 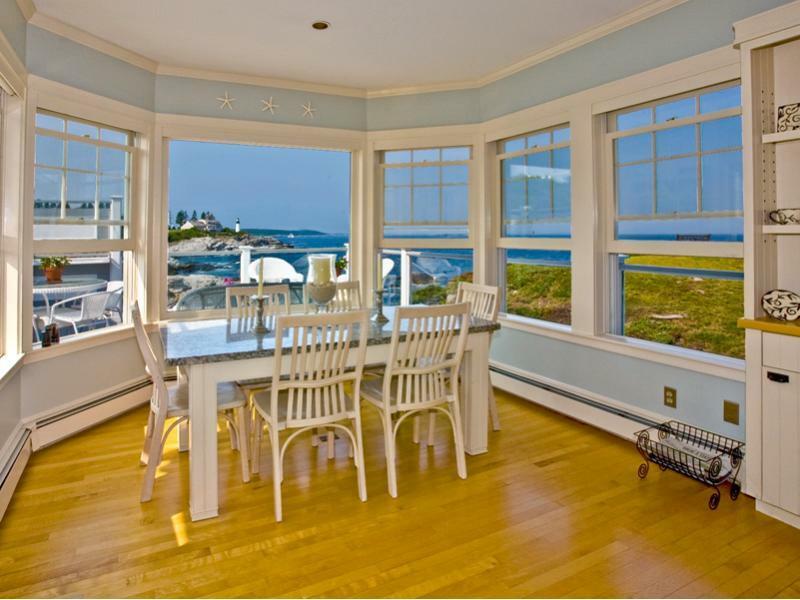 Are you as in love with this Maine "Summer Cottage" as I am? This week kicks off the Brimfield Fair; the famous antique show in Massachusetts. I am always excited to head west of Boston, but recently its not because the Brimfield Fair, but because of a secret shopping spot I found along the way. The store is called DOMUS and is open year round. It is filled with wonderful treasures. 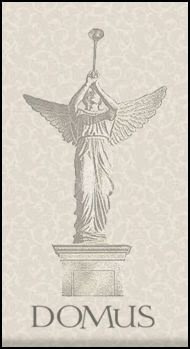 Gorgeous antiques, unusual reproductions, fabulous accessories. It is one of my most secret spots for finding wonderful unique items for the homes of my clients (and myself!). On the property right next to the SERAPH, Alex and her charming husband had a spectacular Post and Beam shop built to house the gorgeous DOMUS inventory. Here a pair of gorgeous armchairs are covered in grainsack slipcovers. 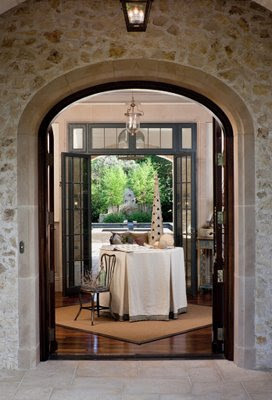 Notice the garden table and statuary and how wonderfully it goes together. Here is a beautiful reproduction chaise covered in linen. The finish on this piece is incredible. The displays in the store are worth seeing. Alex and her staff, including the talented, Laura, do a fantastic job of putting things together. You can guess how much I fell in love with this vignette. DOMUS has an incredible selection of antique mercury glass, grainsack covered furniture and Swedish antiques. But if you like a more refined look, you can find it here as well. Another fabulous vignette; and it has a completely different feel. With such an incredible collection to choose from its easy to find spectacular items for myself and my clients. The store is very large. Here is a more contemporary look. I just adore the linen sofa. DOMUS is not limited to living room and dining room decor. Above is a beautiful French bedroom set. Notice the lighting as well, Alex has chosen a wonderful mix of lighting options for the most discerning customers. On my most recent visit I was enamored with this dining room table and chairs. Notice the urns and the birdhouse. It is a common theme at DOMUS to mix garden items with more formal indoor items. This mirror stopped me in my tracks. Isn't it stunning? You will rarely see the same thing twice here. Alex prides herself in obtaining the unique. So if you want to find something extraordinary that no one else has, this is the place. So of course you are thinking that wonderful unique items like this are just too expensive and out of reach - I almost don't want you to know...the prices are very reasonable! So my secret is out - I hope you enjoy it as much as I do!!! PS. Sturbridge is wonderful town to visit - plan to stay for lunch at one of the many little cafes and inns. It's been such a whirlwind these past few weeks. 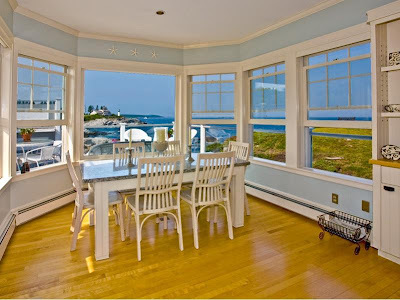 My children finished school, we headed to the beach house and opened the long closed windows and let the sea air in. Just as we started to relax, we headed to Lake Santeelah for a week for a family visit. 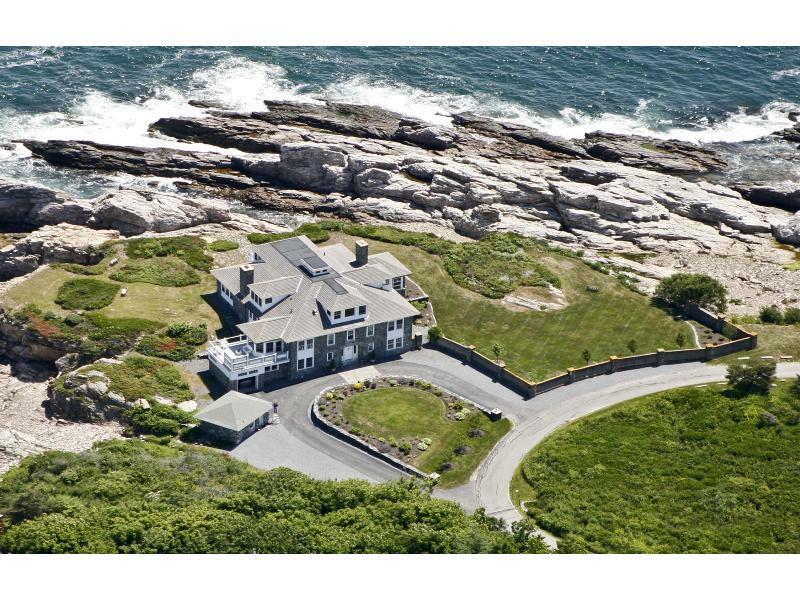 Dave's sister and her husband own a spectacular waterfront home there. 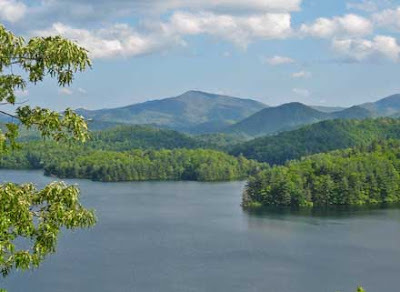 We had coffee every morning overlooking this outstanding view. Add in the boating, waterfront dock and jet ski - well we almost didn't' leave!! As usual Dave and I scoured the real estate listings. We fell upon this wonderful retreat, just down the road from my sister in law's. Oh how I wish we could live near them! Look at the beautiful kitchen - I love all the wood and the rustic lake feeling this kitchen has. 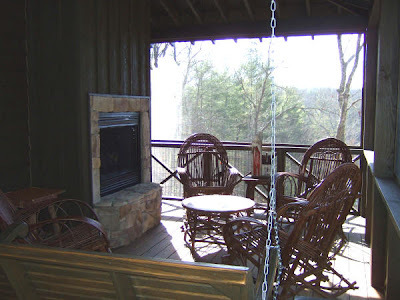 And what a porch -I love the fireplace and willow chairs! You can't really see the view from here but believe me - it is amazing. To see more of this wonderful property click here. Then back to Boston to water the trees (can't wait to post my new landscaping! ), then to my 25 year college reunion (Yeah WSC! ), finally back to the beach! In all the craziness I have had so much fun, but not much time to blog! In the midst of all the traveling I had a welcome visit from Kristin Mullen of Covetable Designs. You may remember last year when I introduced you to Kristin. I did a post on her and her blog - click here. 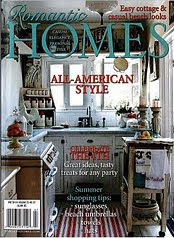 She emailed me as WD reader, and I learned that she is a wonderful person and an incredibly talented interior designer. It was the beginning of our year long email friendship! Kristin's son was headed to summer Lacrosse Camp in Massachusetts so we hatched a plan to get together on her visit! It was a crazy day for her, and we had only a few minutes to meet before she needed to catch her train to NY, but we squeezed in a quick coffee. You can read all about it on Kristin's blog here. 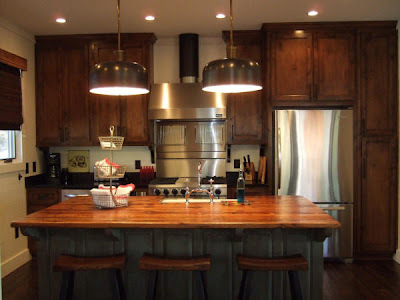 In case you missed my post last year, I wanted to show you some additional photos of Kristin's kitchen - isn't it fabulous! Kristin designed it and William Ohs created the beautiful cabinetry. 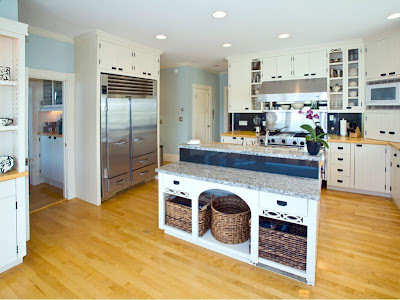 Her kitchen is going to be featured in Beautiful Kitchens Magazine. No surprise to me!! And the rest of her house is amazing as well, so make sure you stop by Covetable Designs and see her absolutely gorgeous house here. We finally got settled back at the beach and spent yesterday afternoon at the Rockport Garden Club's Coastal Garden Tour. What spectacular gardens! I was so inspired. To see more photos click here. We also got a lobster license this year, so we spent the afternoon pulling up our traps! In the end we caught three lobsters! We had so much fun! Camp starts tomorrow so I will be able to get back into the swing of things. Check back Tuesday for one of my favorite secret shopping stops - its on the way to Brimfield, so perhaps you can stop there on your way. Enjoy the weekend!! 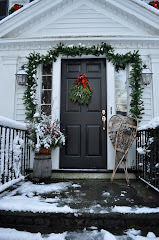 While I am on a family vacation I wanted to re-post a popular summer post from the Willow Decor Archives! Enjoy and see you in a few days! 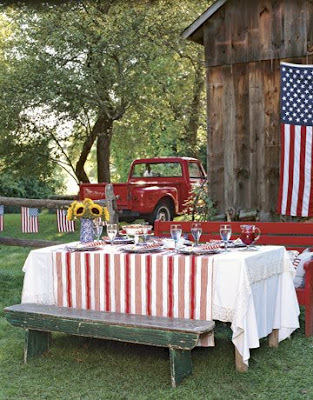 In the summer, who doesn't love decorating with red, white and blue? 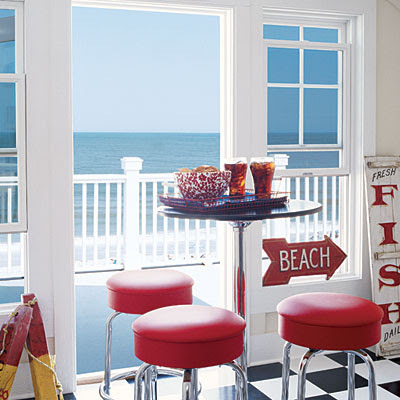 This is a wonderful room and the addition of the 50's diner style stools add a great punch of color. Notice the vintage signs and bouys which contrast the shiny floor, table and stools creating interest. 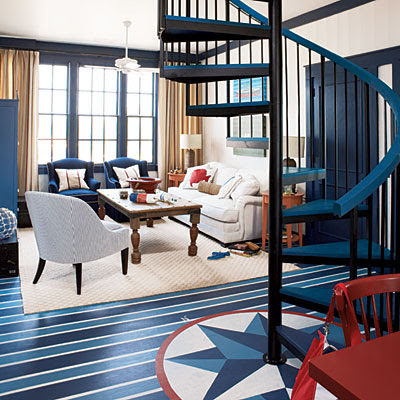 What a fabulous painted floor - this room is primarily blue and white but the few red accents really give it life. 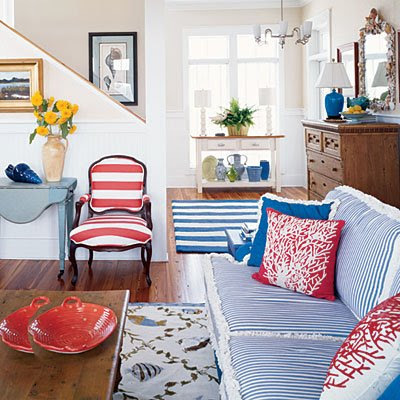 The red chair, side tables, pillows on couch, and floor accents help direct your eye around the room. 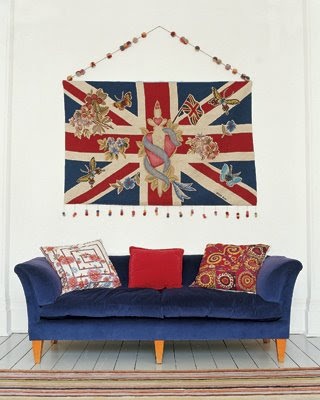 Perhaps a bit unpatriotic for 4th of July, but I love how this antique textile becomes art and makes this room. Stripes rule this room, with flag, quilt and antique barber pole(?). Painted furniture and antique signs add a rustic warmth and charm. This could be a very busy room, but the white walls add a perfect backdrop and it is charming. 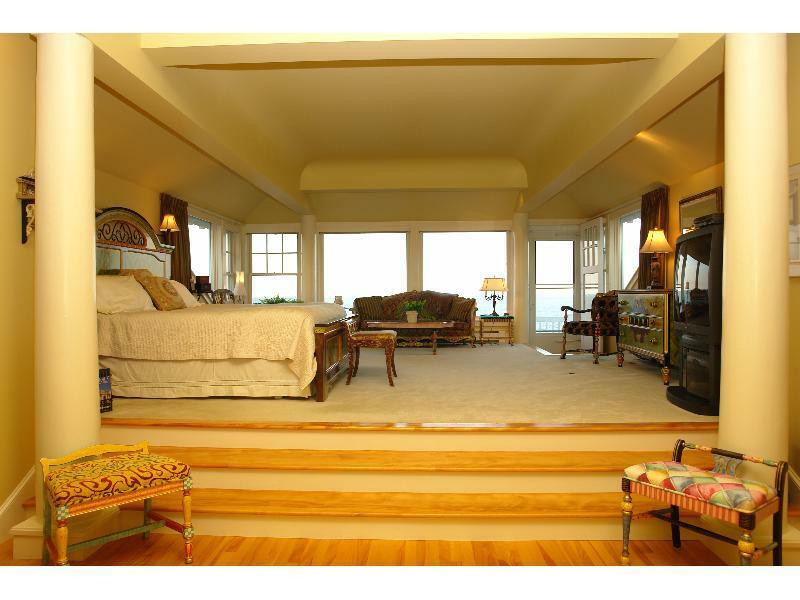 A fun beach themed room complete with red coral pillows and shell mirror. The striped couch is fun with an interesting trim, but the chair is a bit too loud for me. I also would not have used the striped rug by the stairs. Okay, so not many people have big red barn, but if you did wouldn't this be fun?! A simple tablescape uses a striped tablecloth or extra material over a white tablecloth for a great accent. Blue splatterware becomes a great vase for sunflowers and checked napkins, white enamel dishes and small flags finish off a great holiday table. Is that Sangria in the pitcher? 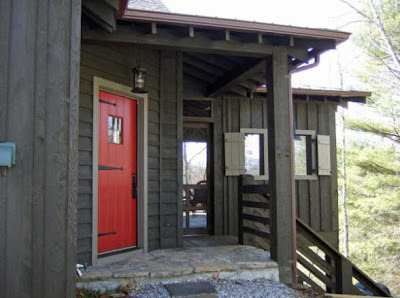 Here is a lovely porch adorned in red, white and blue. 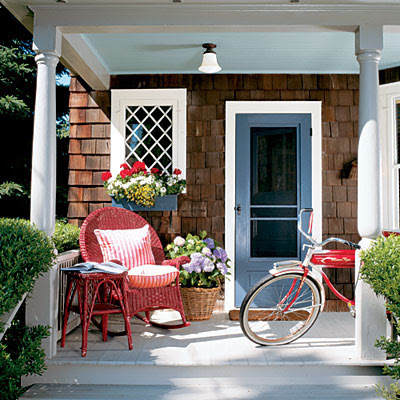 Bright red wicker with striped cushions, blue door, window box and pale blue ceiling are all accented by white trim. A perfect spot to sip lemonade. 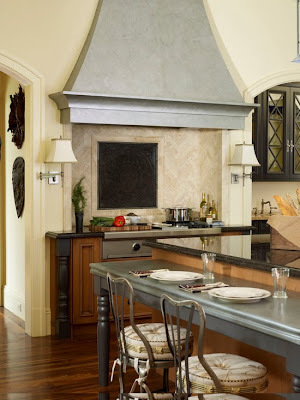 Hope these rooms have inspired you! 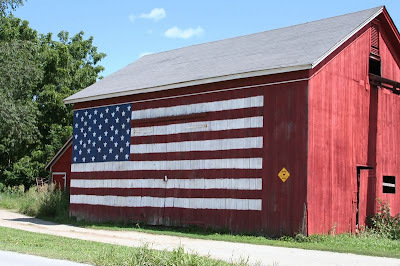 Have a wonderful 4th of July!! !